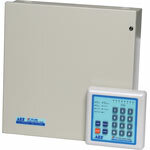 AEI range of products are very easy to use and have excellent reliability. The range consists of panels and associated components to form a complete security solution. 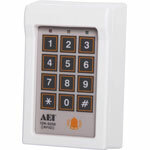 AEI security systems offer all the latest functionality with the ease of simple installation. 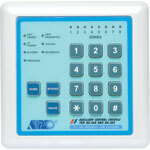 This weatherproof vandal resistant door keypad controller is designed for controlling a door strike in home or business security installations. 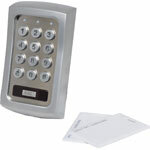 It combines a digital keypad and proximity EM card reader in one unit.